Go gallery-hopping, buy beautiful clothes, then sip a glass of bubbly and nibble on dessert. Art and fashion at Atelier, then food and wine at Prosecco. “Now we have a one-two punch,” says Kathryn Alvera, co-owner of both Atelier and Prosecco, although it’s really more of a one-two-three-four punch. Walking into Atelier is like stepping into the closet of a mature but hip art collector/clotheshorse: paintings, photographs and antiques coat the velvet walls and wooden countertops. The clothing is well-organized and dense, but there’s certainly a lot of it (for both men and women), and it ranges from cheap (I eyed a thrifted $10 C&C tank) to bank-breaking (vintage Lanvin, Chanel and Stella McCartney). Atelier will also be working with legendary tailoring house Cesare Attolini to design custom suits. Alvera says “It’s something of a coup” that the prestigious Neapolitan suit-makers are partnering with her boutique, which opened in April, but she’s convinced the exquisite suits, with prices reaching far upwards of $4,000, will find a niche among sartorial Chicagoans. 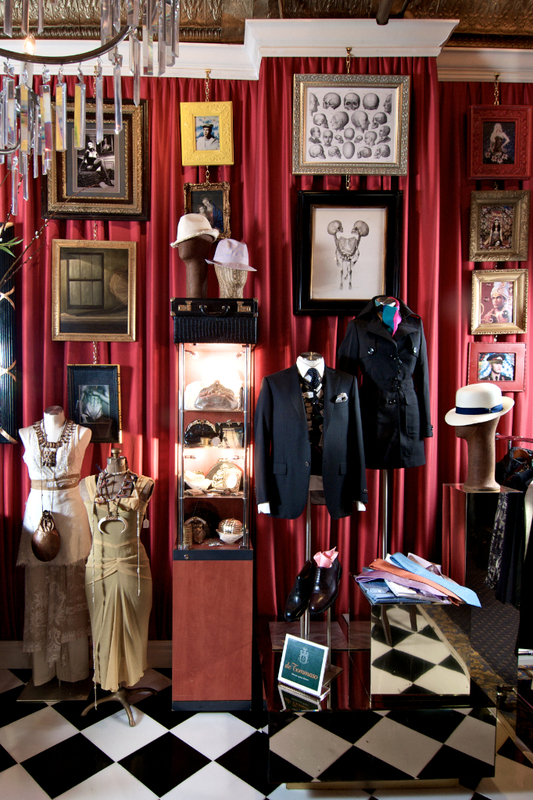 The boutique stocks luxury vintage, consignment and new clothing for both men and women. “It’s about mixing new and old,” not just high and low, says Alvera. The collection of objets d’art is carefully curated as well, with pieces ranging from antique Victorian to graffiti-inspired. Alvera’s curatorial eye extends beyond the objects in the shop—she’s planning on holding performance art in the windows.